I was offended for about two seconds. I know that if I write something and I put it out there, y’all are going to have opinions about some of it. In this sense, I’m lucky that I’m not a blogger who has some massive readership. I’ll take a handful of people rolling their eyes disapprovingly at me through their screens versus hundreds, or thousands. When I hit “Publish” I know that I’m opening myself up to that. There are shadows sometimes. And as our buddy Walt apparently said (according to a pin I saw on Pinterest this morning), pretending otherwise is not sincere. There are peaks and valleys, shadows and light, hormonal times and less hormonal times. I take each day as it comes – and yes, some are better than others. Today was a little better than yesterday, but still with time change induced meltdowns and some exhaustion and an argument about brushing hair and being told that I am not in charge of everything, the President is in charge of everything (I wonder if I can get Barack Obama to tweet to me that he believes my kid should brush her hair and go to bed on time). I’m going to keep on being who I am and I’ll keep on writing about my days, and some days will be better than others, but I’ll be authentic because that matters. Will I love when the internet remarks about my state of mind? Well, probably not. But, you know… it happens. Well, it happened. Once. Let’s not make this a regular thing, y’all. Being a single parent is hard. Job hunting is hard. Parenthood in general is hard. Life is hard. Not just for me, but for most people. And not all the time and not in all the ways but enough. No one wakes up and says, “Wheee. Job hunting is really fun and it’s great for my self worth and I really enjoy people not seeing the value in the work I do and the skills I bring to the proverbial table.” Most of us, when job hunting, hope to quickly pass through the hunting phase to the happily and gainfully employed phase. And when we don’t, it gets tiring. It wears you down. I do my best to not dwell in negativity in life – because I do truly believe that it’s not good for me. Sometimes it’s good to be upset. 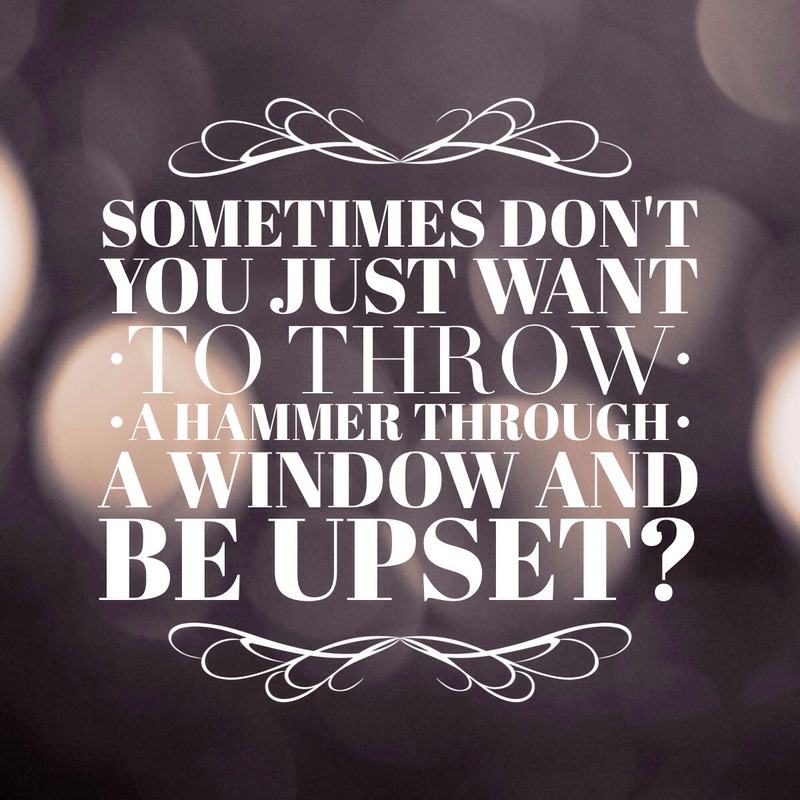 (I’ve never thrown a hammer through a window. Saying I was offended for two seconds and then writing 500 words about it seems contradictory but it’s actually true. Internet, I ain’t mad atcha. I’m just living life.